Miraculously sweet and psychedelic anise pastry with molasses and candy. It’s “purple month” in Lima. 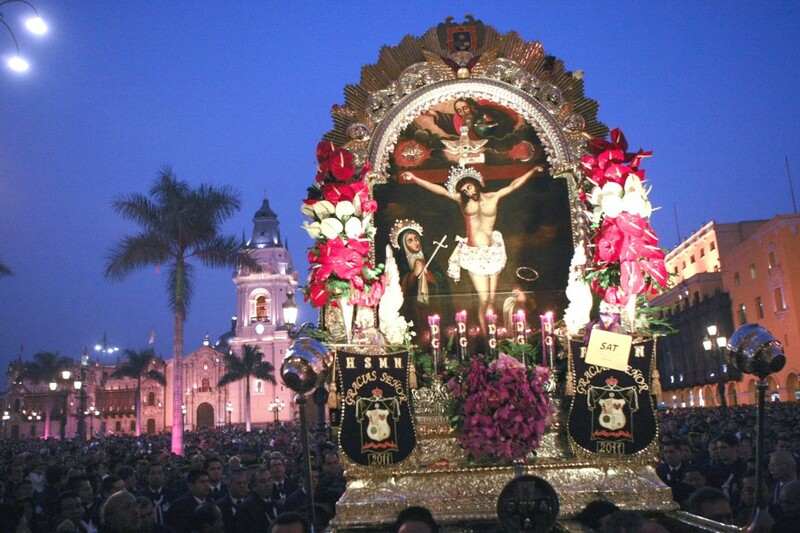 One of the most sacred traditions in the city is the procession of El Señor de los Milagros, or “Lord of Miracles”, and his devotees wear purple robes for the whole month of October. This is how it works: you make a spectacular request to the Lord of Miracles (curing someone terminally ill, finding a job, getting pregnant…whatever it may be), and the way you pay him is by dressing in purple throughout October, and going to the processions that take place all over the city. Legend says that in 1655, an Angolan slave painted the image in the estate where he worked. Soon after, many of the slaves and other people started gathering around this place to pray and honor the Lord. Ecclesiastical authorities ordered to cover the image, and sent people to paint the wall with quicklime, but every time, the image emerged brighter and cleaner. It not only survived the many attempts to cover it, but also the violent earthquakes that plagued Lima at the time, so by word of mouth, faith in the sacred image grew like foam. After a while, in that very spot, a chapel was built to protect the image, and then the convent of the Nazarene nuns was born. You can visit this place in Lima and see the original painting. Now, let´s talk about this recipe. Just like Halloween and Valentine’s day are big commercial dates in the US, the procession of the Lord of Miracles is a big event for street vendors and stores. 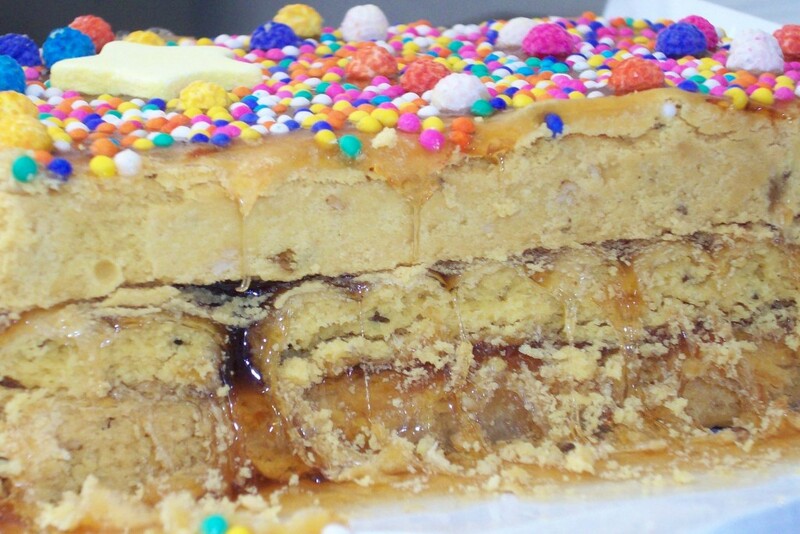 turrón de Doña Pepa is the typical dessert eaten everywhere in Lima during the purple month, and even though it can now be found year-round in big stores, it was originally prepared only in October, and still is sold mostly in this month. As the story tells, Josefa Marmanillo was a slave who had a strange disease that paralyzed her arms. This disease freed her from slavery, but at the same time left her unable to earn a living. She started attending the processions to ask for her health back, which she eventually did get, and as a thank you gift she created this sweet. So far so good. Where the story starts becoming psychedelic, just like the look of this candy-covered dessert, is in the part where she raised the dessert with her arms in one of the processions, and the Lord of Miracles smiled back at her and blessed the offering. She passed the tradition of preparing turrón for this special time of year to her daughters, granddaughters, and generations to come. To be completely honest with you, my first attempt at making it for this post was a total mess. 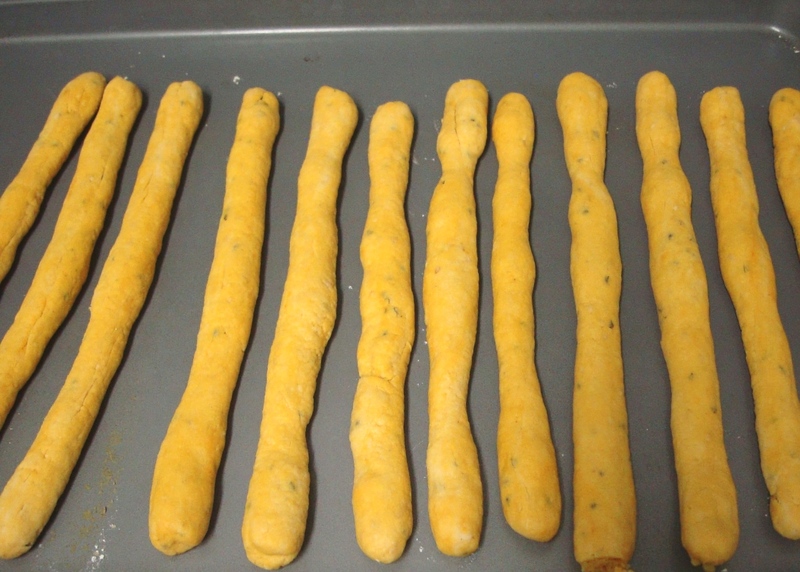 The dough was too soft and the pastry sticks grew like baguettes in the oven (I’m not kidding), and even though I added 20 more minutes of baking time, they never turned crispy nor golden. They were pale and inedible. What a waste of time and ingredients! However, I was determined to find a good recipe to share here, so I just kept trying and taking notes of all the process. A good turrón should dissolve in your mouth if it has the ideal texture. It’s very similar to making pie dough, but the flour is combined with sesame seeds, and the water must have achiote to add color, and anise seeds for flavor. The recipe uses lard, which I´ve substituted with shortening, and actually, most of the cooks I know use shortening too. Lard gives the perfect crumbly texture though. Once you have the pastry sticks ready, you can assemble the turrón in 5 minutes, adding the thick and glossy syrup at room temperature, like you see in the pictures. Of course, you can buy turrón by the kilogram in every corner of Lima, so why bother doing it? Nevertheless, if once in a blue moon you feel the inspiration, or if you’re abroad and want to bring back those memories or surprise people with a very different kind of dessert (although it can be found in many Latin grocery stories outside of Peru too), bake it at home and you will be rewarded with a delicious freshly-made festive treat. *Preheat the oven to 350F. *Put anise seeds in a cup and pour boiling water over them. Put in the fridge until very cold. *In the working bowl of a food processor, pulse five or six times until everything looks like coarse oatmeal: flour, salt, and shortening. Transfer the mixtureto a bowl and add the egg yolks, anise liquor and anise water, and sesame seeds. Add anise water, tablespoon-by-tablespoon, mixing with a fork, until the dough holds together without being crumbly. Put in the fridge until ready to use. *Take a small portion of the dough and roll over a floured table, to form a long cylinder, like one finger thick and 10inches long. Repeat with all the dough. Put the sticks in a baking sheet and bake for 30 minutes or until lightly golden. 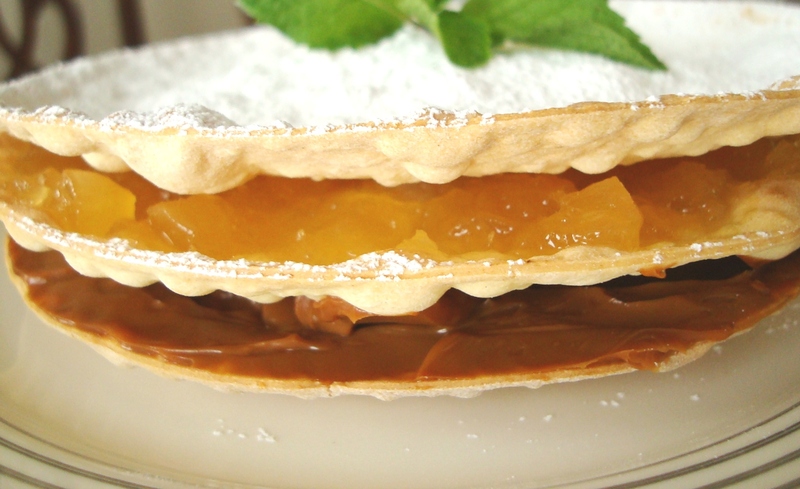 *Meanwhile, prepare the syrup: Chop the molasses and pour in a saucepan with the fruit, cinnamon, and cloves. Add water and bring to a boil, turn down the heat, and continue cooking, undisturbed, until it is thick and syrupy. Be careful because it overflows when it’s boiling. Strain and let cool. *Cover a baking sheet with parchment. 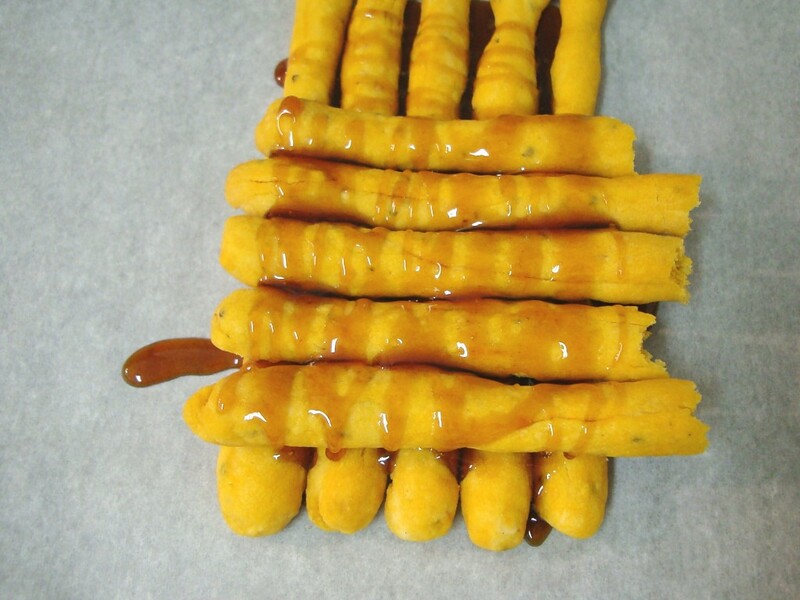 Take ¼ of the pastry sticks and put them horizontally, one next to the other. Cover withlots of syrup. Make another layer of pastry sticks, now vertically, and again cover with syrup. Repeat with the rest of the sticks and syrup. 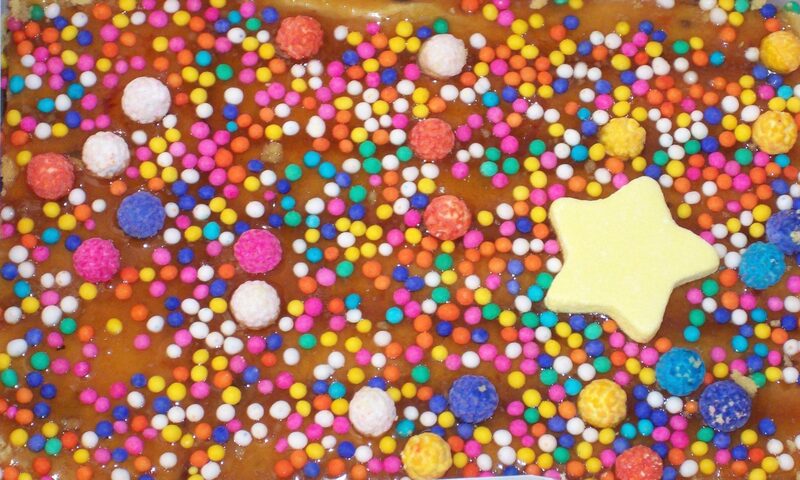 Pour syrup all over the turron, sprinkle with candies, and voilà!! Your turrón de Doña Pepa is ready to go!! Wow! 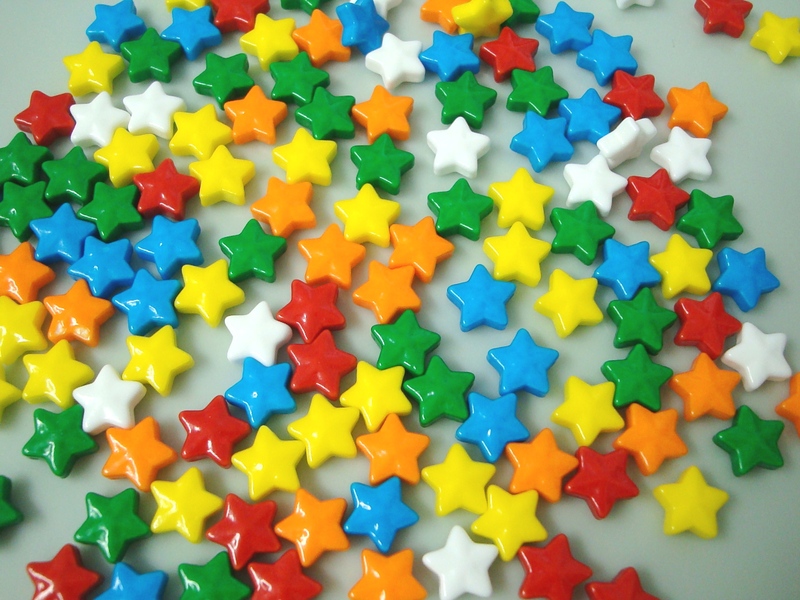 This takes me back…I haven’t had this since I was little! this is such a fun looking wild dessert!! Must try! I love this whole post. I didn’t know anything about “purple month”. You guys are killing me with the awesome foods! Looks so yummy! That´s the idea, Jes Sofia! El Senor De Los Milagros has a special place in my heart, as a woman I adore followed this tradition and she prayed for me as I struggled through the law school experience. And I would pray my little heart out as well. This post triggered that memory. The recipe is so cute! If I had an oven, I would totally bake this! Love the post. It’s time for me to throw on some purple and kick up my prayers. I´m glad to bring back those memories to you. Definitely, el Señor de los Milagros is a beautiful tradition in our country. Thanks for visiting. ay mama, que complicado but looks totally worth making! would making it all purple be over the top?? I love learning about our different Latin countries’ traditions. 1st time hearing of this Peruvian celebration 😉 Thanks for sharing. I absolutely love your blog…… I have never had this dessert. I wish there was a place here in LOS ANGELES that made this dessert so I could try it first hand before trying to make it myself. Love the candy on top so colorful…. but why not purple? I guess it must be hard to find purple candy! Specially back when the dessert was created. If I find out where they sell it in LA I’ll let you know. I’m sure you can find it there. I really enjoyed reading this post. I like that you included the history behind the receipe. I like learning about other cultures and food is such a big part of culture. Hi Arlett. Many of our traditional dishes have wonderful stories, and I love to share them with our friends. Glad you like it. Thanks for visiting. I really appreciate this recipe. I’ve only got one question: what is two pieces of molasses? is it two cups? Or is it some sort of taffy that can be bought? Thanks! 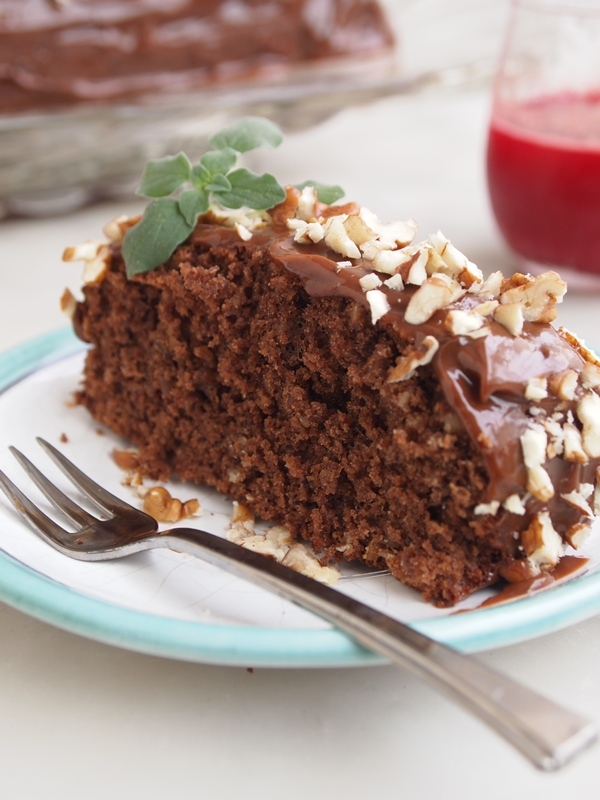 It´s raw cane sugar, but you can substitute with dark brown sugar. Roughly two cups. Keep in touch, and Happy Holidays! Instead of molasses would it be possible to use chancaca? Sure thing! Use molasses if you can´t find chancaca. Love your post. One question how big of a turron does this recipe render? dont they usually make this with honey because the ones i have eaten, when my uncle or grandpa brings some from peru, they are usually in a thick honey syrup. anyways, i should try and make this haha. Hi Andrew! The honey syrup you remember is made with chancaca, not with honey. It has the same color but a slighly different texture, thicker than regular honey and the flavor is complex with the fruits and spices used in the preparation. 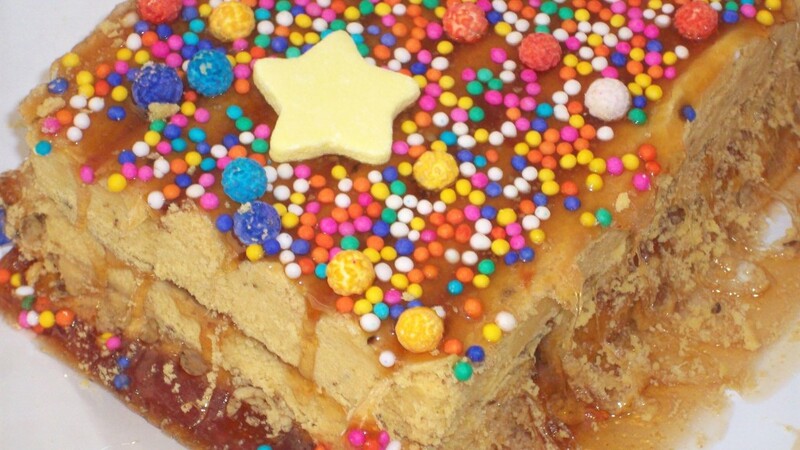 I am making Turrón de Doña Pepa right now to recreate the fantastic sweet! It’s one of my favourite desserts and I enjoyed every single dish while staying in Lima and throughout Peru last month. Peru is #1 for me…just the most magical, peaceful and perfect place on earth, so, of course, Peruvian food is just out of this world! Thanks for the recipe. I will try to make it with my kids. what is a quince? and thanks for sharing! my first attempt at this delicious desert that is my absolute fav! Do you speak Spanish? For us it’s “membrillo”. this is a delicious dish!! Hi, I am peruvian and live in Australia, I would like to know where did you get the molasses from? I bought it at the grocery store in the US or any market in Perú. Hi!!! what can i use instead of quince? Granny apples. Use the quince only if you can find it. Acostumbro cada dia buscar posts para pasar un buen rato leyendo y de esta forma he encontrado vuestra web. 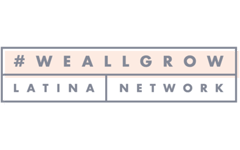 La verdad me ha gustado la web y pienso volver para seguir pasando buenos ratos. What size should the quince be?